Below the high route of the PCT-TYT across the North Yosemite Backcountry we have a series of ridges and canyons running South off the Sierra Crest into the Grand Canyon of the Tuolumne and Hetch Hetchy. Jack Main Canyon contains a spectacular range of terrain hiking down to Hetch Hetchy, while the route through Tilltill and Rancheria Falls to Hetch Hetchy was very faint, near-unmaintained status (as of 2016-I expect it to be serviced in '16 or '17), and had shown only two previous hikers since the Spring Thaw of 2016. 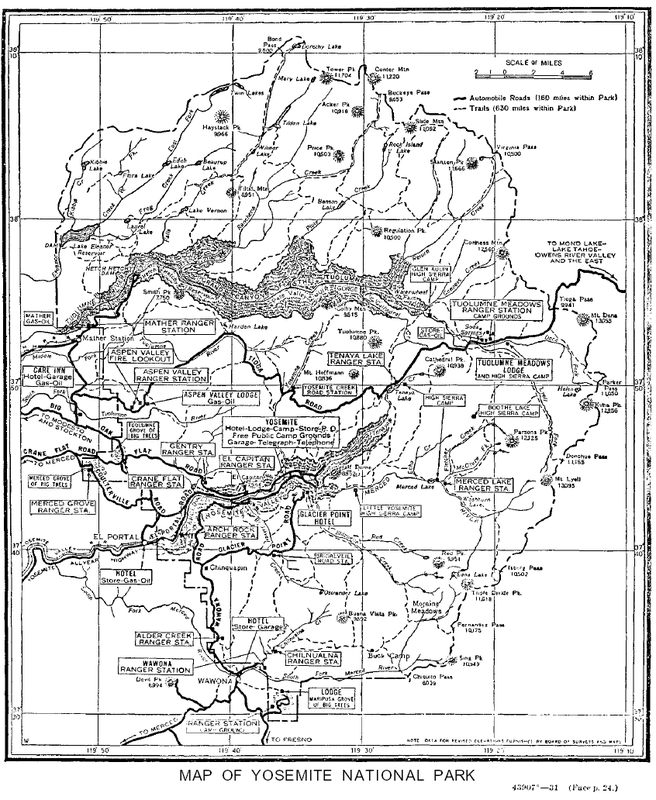 The map above depicts these first two of the Five Canyons of the North Yosemite Backcountry that both drain the West Flank of the Sierra and carry a couple of nice trails South by the compass down to Hetch Hetchy. These are the best hiking-backpacking maps of Hetch Hetchy in the North Yosemite Backcountry up to the Sierra Crest. Note that the Map historically mis-names Wilmer Lake: It's "correct" name is Wilma, not Wilmer Lake. 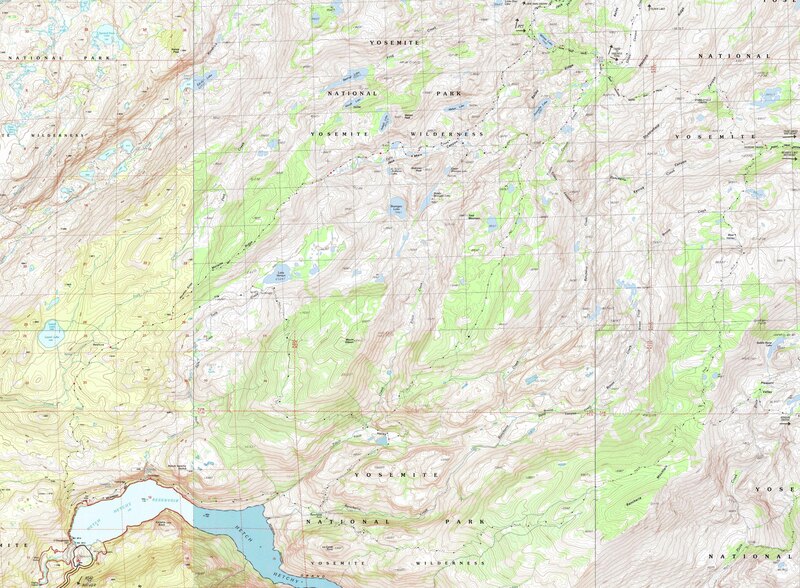 I was told the story by rangers and trail crew, but it eludes me at this late hour, constructing the basics of this map. The PCT route around Wilmer Lake was not added until sometime between 1931 and 1939. The route around Tilden Lake was the original through route across the North Yosemite Backcountry. Road Maps specifying locations of the endpoint of our backpcking trip to Hetch Hetchy in relation to Mather, Highway 120, Crane Flat and Tuolumne Meadows.